What are Strange Coins and How to Spend them? 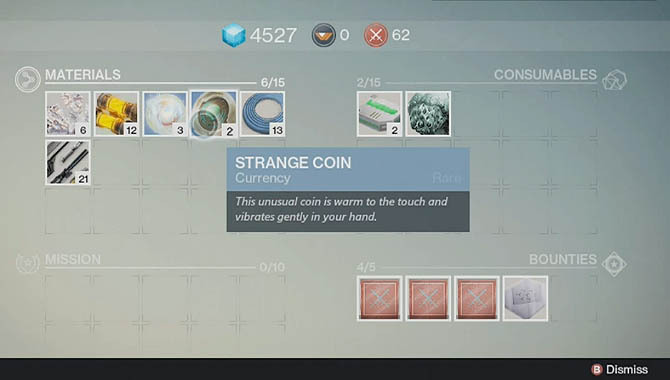 Strange Coins are a form of currency in Destiny that you can trade in for the best weapons. These Exotic weapons can be purchased from the Black Market in exchange for "Strange Coins" but timing is important because the vendor only appears on certain days. 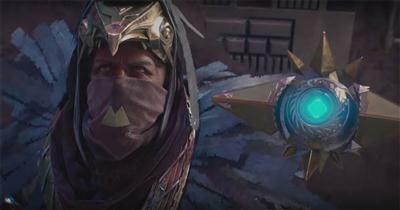 A lot of players discard their coins simply because they don't understand the importance of Strange Coins in Destiny. These suckers are a great way to get your mitts on the Exotic weapons that everyone's talking about so make sure you save them up. A final note before the details. Strange Coins really come into play once you reach Level 20 and you start progressing your Light Levels. 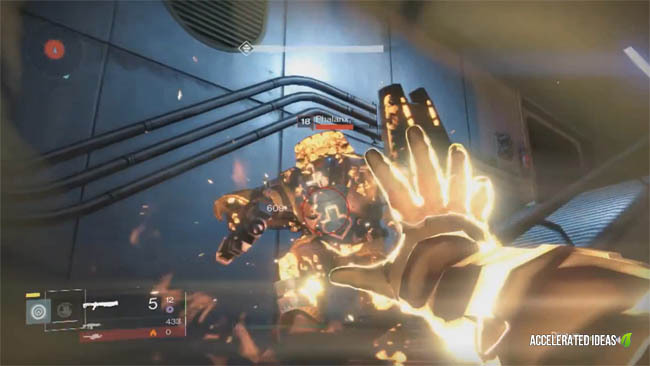 Without a high level you'll find it impossible to partake in the weekly heroic or the higher level Strikes on Venus. So if you're a lower level, keep playing and stash away those Coins when you come across them....they'll be waiting for you once you reach the 20's. How to earn Strange Coins? Strange Coins are incredibly rare and collecting them through random events takes a long time. The best way to guarantee Coins is to complete the weekly Heroic mission on the highest level. This will reward you with 9 coins which is enough to buy Exotic armour straight away. Lower level players have the best chance of earning a coin by trading in Engrams at the Tower. However, it's worth holding onto Engrams until you reach a higher level to earn a potentially better reward. Where can you spend Strange Coins? Everyone's asking where do I spend my Strange Coins!? Patience people, all good things to those who wait. The Black Market vendor only appears at the weekend, Friday morning is the start time (Europe time) and he's gone by Sunday morning. This gives you enough time to earn Coins midweek and then spend them on Exotic weapons ready for the following weeks Raid. Remember you can only equip one Exotic weapon and one Exotic piece of Armour at a time. You'll find the Black Market vendor at the Tower along with the other Vendors but this guy is downstairs in the lower level (exact location tutorial further down). His name is Xur, The Agent of the Nine and he sells Exotic weapons, gear and Exotic Engrams. You'll need a minimum of 7 Strange Coins to buy anything. Update: Xur will be in a different place every week, but he will always be in the Tower. Important: Xur sells one piece of gear in each class, in a random slot. This gear refreshes every week giving you the chance to view/buy different sets every weekend. He also sells customizations for your Speeder Bike such as drift and speed, as well as Exotic Engrams for a chance to gamble your way to Exotic gear in exchange for Motes of Light. Found near the 3 Vanguard mentors, in the hall below the Bounty Tracker. Found next to the Speakers room, over by the railings. First right at the Hanger entrance.